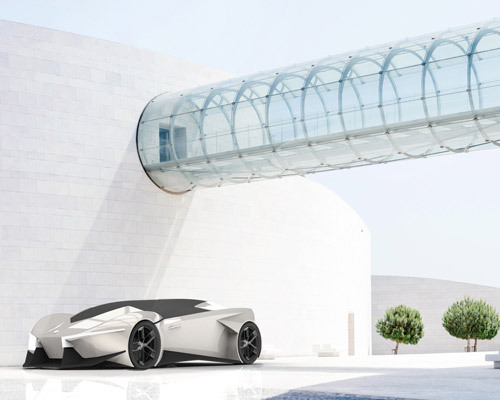 among other proposals, there are automobiles with built-in parametric fabrics connecting to the emotional state of the driver and vehicles that shatter gender stereotypes. 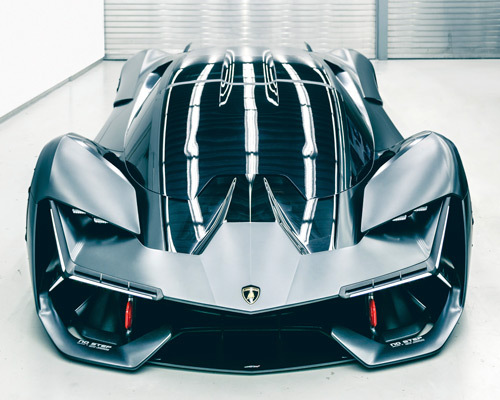 limited to 900 units and featuring an impressive naturally-aspirated V12 engine with 700 hp, four-wheel drive and four-wheel steering, this supercar will cost $518,000 USD. 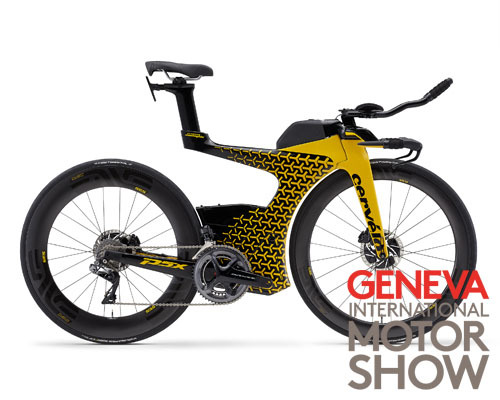 the iconic yellow paint and Y-shaped pattern on the bike are familiar to lamborghini enthusiasts. 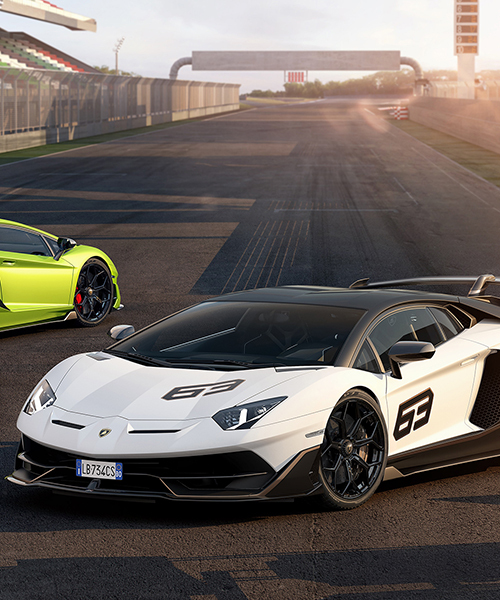 lamborghini has announced plans to renovate its campus in sant'agata, bologna. the compound was first established in the 1960s by ferruccio lamborghini himself, and has been continually scaled up over the brand's successful history. lamborghini's LM002 was completely overhauled for the race: everything was made lighter using components derived from competition cars. the lamborghini 'aventador S roadster' combines the technologies and driving dynamics of the 'aventador S' with an emotive open air driving experience. the lamborghini 'aventador super veloce' is a 52-ft custom built speed boat that can hit 290 km/h (180 mph) on the open seas. one of lamborghini’s twenty centenarios has surfaced in hong kong. tuning company DMC takes a new lamborghini aventador S and doubles its performance, turning it into a 1588 horsepower monochromatic monster. the new lamborghini x mizuno wave tejin 2 promises successful limitless performamce, using a rubber and carbon fibre base that converts weight into energy. the ixoost esavox sound system follows the same principle that style follows visceral instincts. the meticulous research of lamborghini lines has led an object that immediately recalls the style. 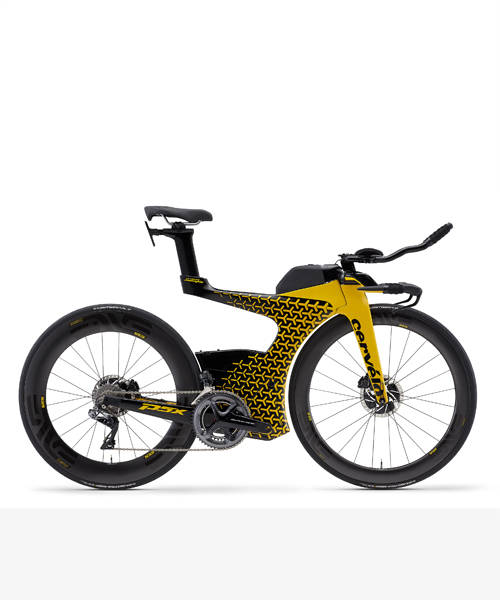 this featherweight viks bicycle + lamborghini mashup is ready for the sub 10 kg urban-bike platform. this next level roadster embodies a whole new design direction for lamborghini, accentuated by clean surfaces and superb reflections as ‘form follows function’. the almost military-spec paint job -- complemented by a muted orange leather interior and grey alloys -- gives it the distinctly utilitarian, almost military-spec vibe. designed by in-house ad personam studio, the car reflects the colors and specifications of the original models. 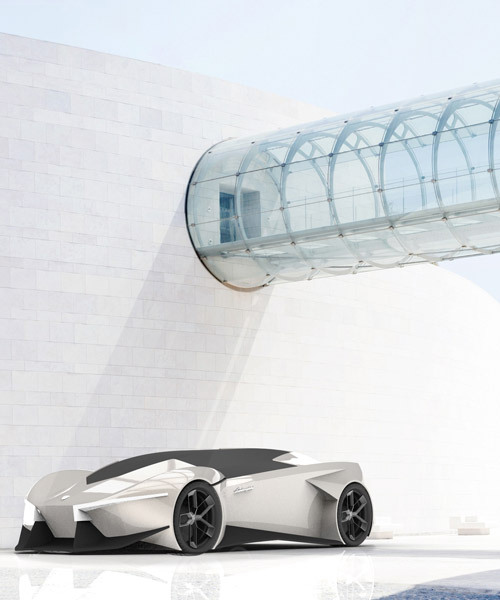 the team of designers and engineers keep the car grounded with extremely long and low overhangs for both the front and rear, creating a clean mono-body shape. the lighter ‘huracan’ has been tuned with a naturally aspirated V10 5.2 liter engine that outputs 580 HP to the rear axel for quicker acceleration and better handling. the open top version - ‘huracan LP 610-4 spyder’ unifies the power and performance of the coupé with the thrill of open air driving. it features a power rear window that allows the free flowing engine sound to fill the cabin with an unplugged soundtrack of the 6.5 liter V12. 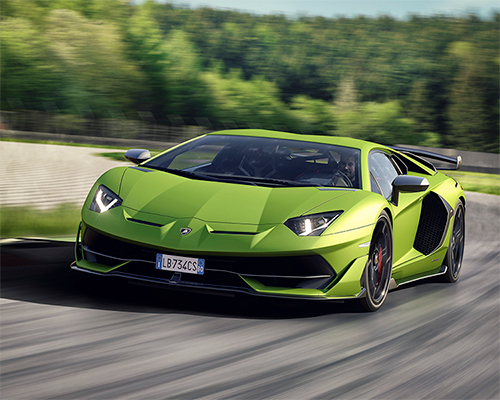 offering increased power, improved aerodynamics and further weight reduction, the lamborghini 'aventador LP 750-4 superveloce' expresses the brand's unmistakable DNA and emotion. the lamborghini 'aventador LP700-4 pirelli edition' celebrates the 50 year long and ongoing partnership between the two italian brands, that dates back to 1963.
the power system combines a V10 5.2 naturally aspirated engine with three electric motors to deliver a total of 699 kWh (910 hp) and 560 Nm of torque. wrapped in a blanket of sharp edges, sculpted volumes, the supercar was designed as the successor to lamborghini's most successful production car ever: the gallardo. the android-powered raging bull features a hand crafted stainless steel body with a genuine leather rear panel and an optional 24k gold finish. fans of lamborghini will no longer need to fly half across the world to visit the sant'agata bolognese museum in italy, as the luxury automobile company has launched a fully interactive view of the exclusive facility on google maps. 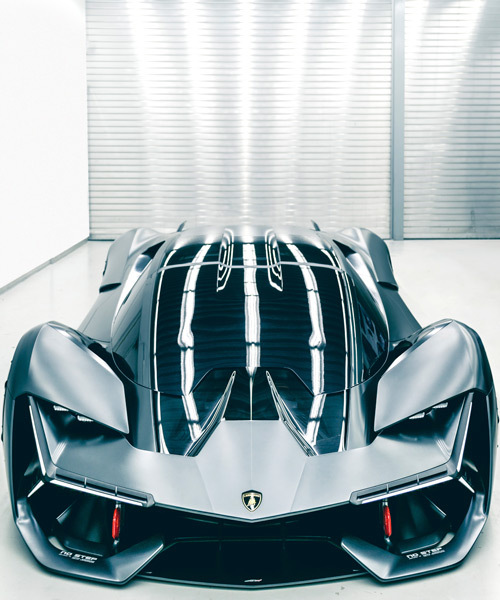 weighing just 11kg, the lamborghini is constructed using only E2 architectural paper sheets, glue and chipboard.